If you are craving for a Kindle Paperwhite with a larger display with more features, Amazon has got you covered. The company has launched a Reader’s Edition of its Fire HD 8 tablet. The device is priced at $250 (roughly Rs. 16,500). The Fire HD 8 Reader’s Edition is identical to the fourth-generation Fire HD 8 the company launched in September, while offering additional features that readers would appreciate. For instance, users get a year’s access to Kindle Unlimited subscription service, which would cost them around $10 every month (Rs. 199 in India). 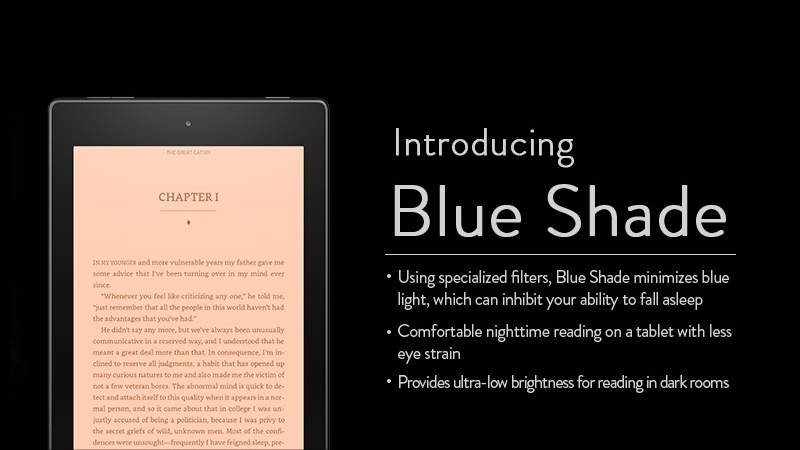 The tablet also comes with a Blue Shade colour option. It’s a new display setting that is aimed to improve a user’s reading experience in dark or dimly lit environments. Other than that, we’re looking at the same Amazon Fire HD 8 from earlier this year. It sports an 8-inch HD display (1280×800). It comes with an unspecified quad-core processor clocked at 1.5GHz, a 5-megapixel rear camera, and a front-facing HD capable shooter. The device houses 8GB of inbuilt storage, which users can expand via microSD card (up to 128GB). The company is also offering a free limited edition leather cover. The Fire HD 8 Reader’s Edition is priced at $250 (which is $120 more than what you would pay for the Fire HD 8 tablet). It is up for pre-orders in the United States. There’s no word on Indian availability as of yet.